“Bartender! I’ll have a spring water, please.” This was the caption offered by Teresa B. when we posted the above photo on our Facebook page. 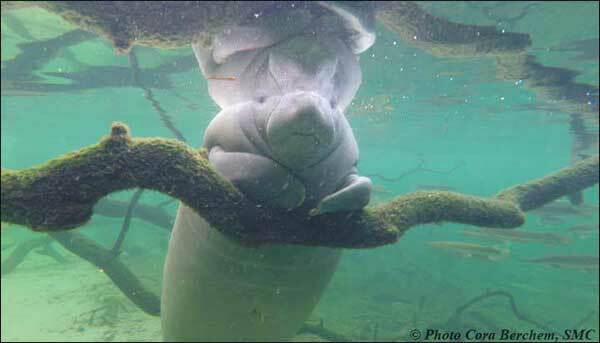 The manatee was taking a break by resting on a tree limb at Blue Spring State Park in March and was captured by Cora Berchem, Save the Manatee Club’s Manatee Research and Multimedia Specialist. 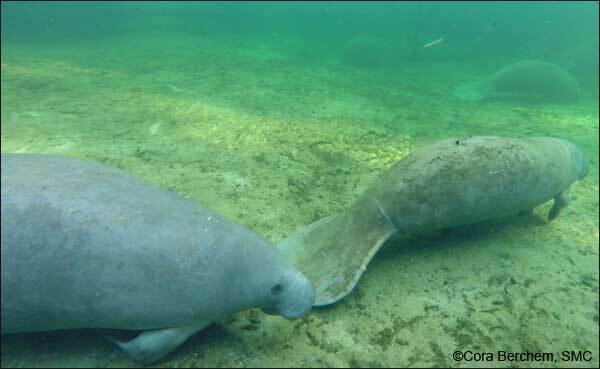 The day following their release, Cassie and Buckeye made their first morning “manatee roll call,” at Blue Spring, swimming right by the research canoe and checking out the spring run and their fellow manatees! 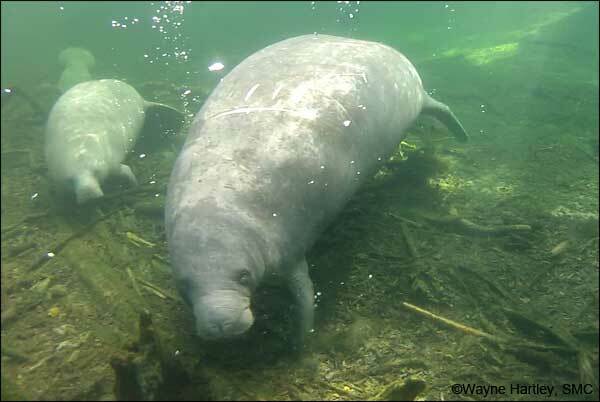 On July 8th, Lucille came in to Blue Spring State Park with a very small calf. Mom and calf came back to Blue Spring for the winter season and have made several visits. 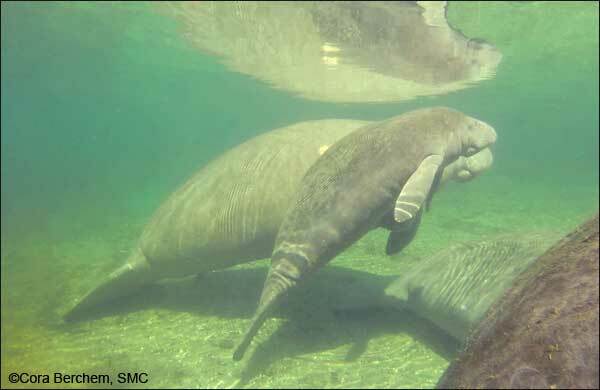 Lucille’s calf (in front of mom) has grown quite a bit since this summer! 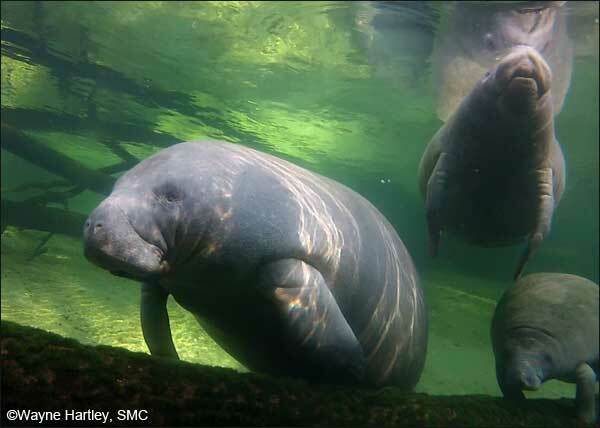 Wayne Hartley, Save the Manatee Club’s Manatee Specialist, snapped this beautiful photo of Dix the manatee and friends on March 14, 2018. Howie also made several visits to Blue Spring this winter. Here he is looking very handsome on March 12th. 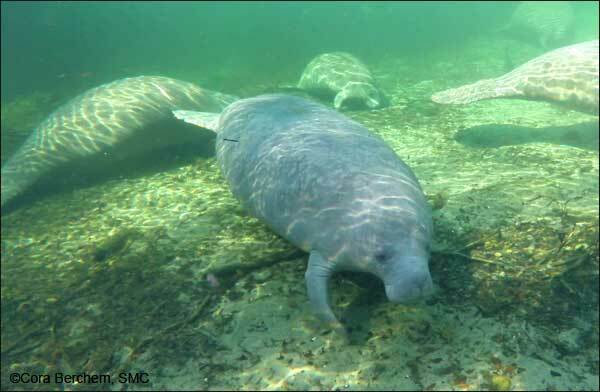 Manatee Dix and her entourage recorded with our above-water webcam at Blue Spring State Park in January 2018. Watch more on the webcams at ManaTV.org. Rocket surprised everyone by showing up at Blue Spring on March 13th for the first time this season. 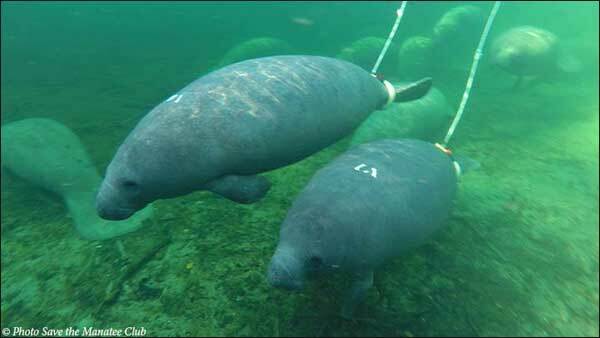 “We have known where he was, but it was great to see him home,” said Wayne Hartley, Save the Manatee Club’s Manatee Specialist. 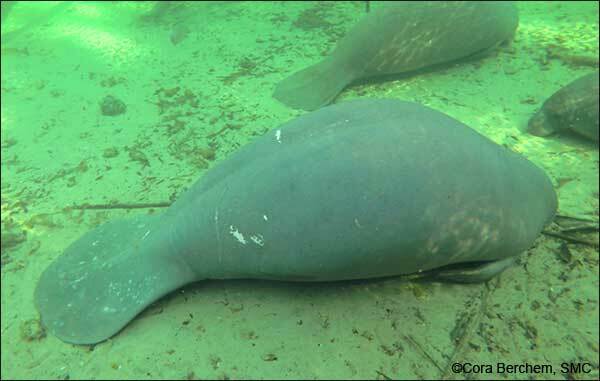 Some cooler temps in early March brought manatees to Blue Spring. 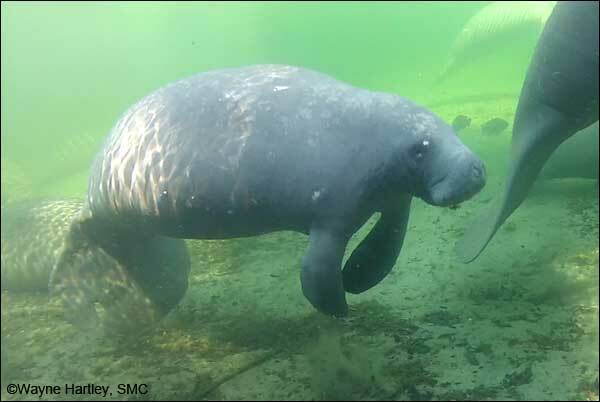 Manatee Specialist Wayne Hartley captured a visit from Nick on March 10, 2018. 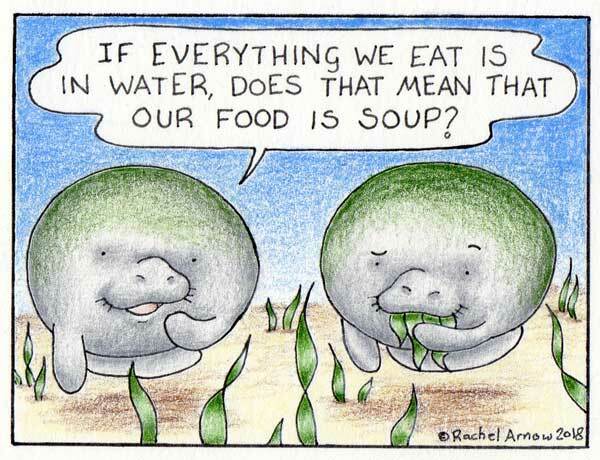 You can adopt Nick and other manatees at savethemanatee.org/adopt. 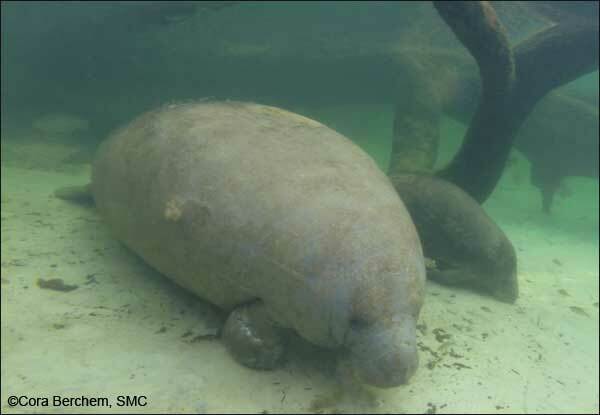 Doc rests at Blue Spring State Park on March 23, 2018. He made several visits to the park this winter. Easily identified by the large, white scars on his back, Gator rests at Blue Spring State Park on March 12, 2018. 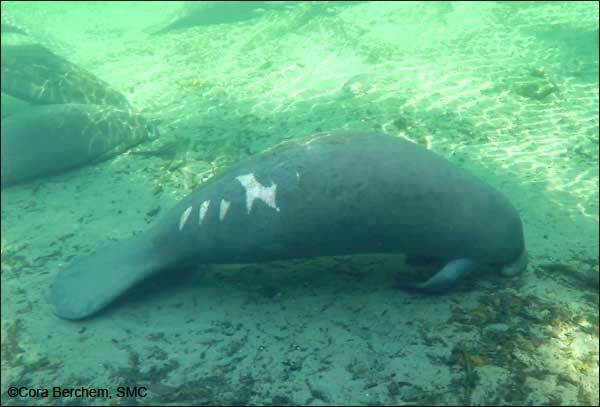 Brutus was spotted by Manatee Specialist Wayne Hartley on March 10th at Blue Spring State Park. 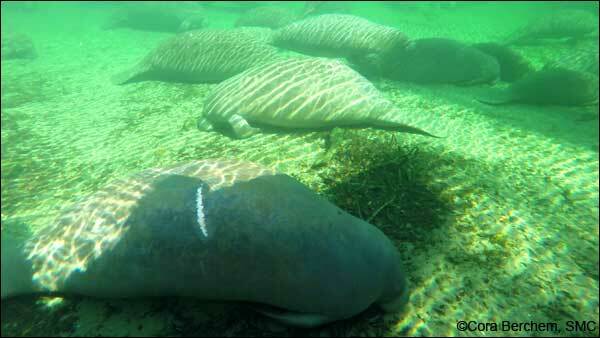 Philip rests in the warm water refuge with other manatees at Blue Spring State Park on March 12, 2018.